All of the new Items! All The New Weapons Pretty Big Update! All The New Weapons In The Latest Update! link Download : Mod File! 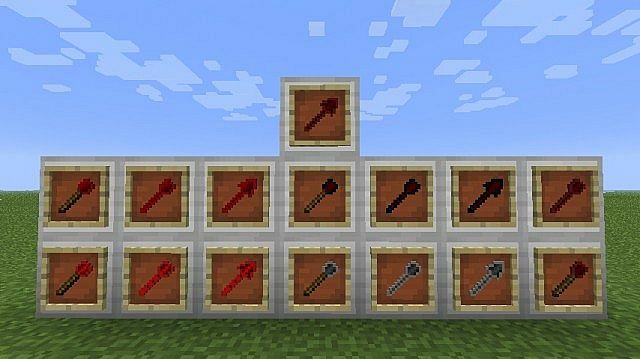 100 Diamond Reward: Post what you want in the next modpack in the comments below! One idea will be picked so make it the best! 6. Drag Mo' Blades Folder and Items Folder into Minecraft.jar. 7. Get Ready To Slice And Dice! 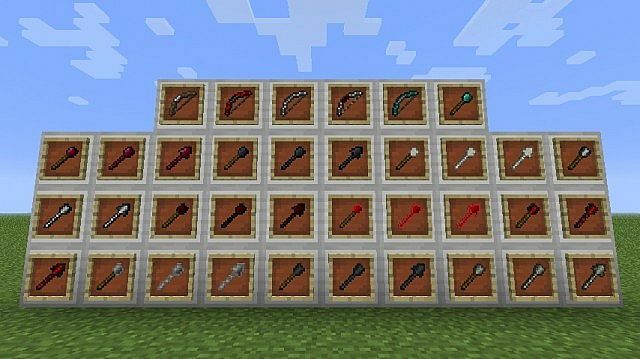 *Note*: I need someone to do a mod showcase for this mod to advertise the newest Update, It must include the crafting recipes for the staffs! Please Help! This contest is all about textures! If you win I will make a mod for you based on your submissions to planet minecraft! 3. Comment saying you diamond it. 4. Open the mod file go into it and locate the folder called Items! 5. Go into items and you will see 2 .png files of all my textures open those and start editing. 6. When you are done send me the png files that you edited! 7. I will judge them and let you know who wins! If you get in the top 3 I will diamond every single one of your submissions and make you a custom mod while advertising you on this page! I have Update to forge with all the original content! I will continue adding more weapons to the Forge Download but I need people to inform me of any bugs. Here How to install! 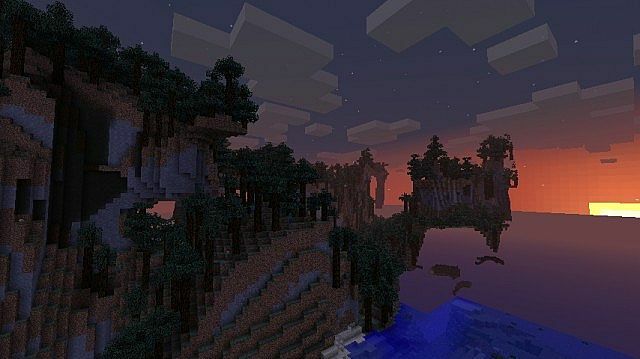 Can We Get 30 Diamonds!?! If we do I will make a special mod of your choice! Credit You guys, for encouraging me to quit hiding and publish my mods! My additional credit also goes to reas for helping reformat my mod! Well after some time I have decided that I will no longer be working on this mod. No I am sorry I am working full time on Gauntlet. I loved this in 1.4.7 so please update it! angles of 60 degrees. Cut out the triangle template. 2. Place the template on the foam board, and trace around the outline. sides will match up in a proper joint when you assemble your pyramid. the pyramid shape in place. bricks with a darker orange or sandy brown. Let dry. right angles, to make a walled base for your project. Let dry. 7. 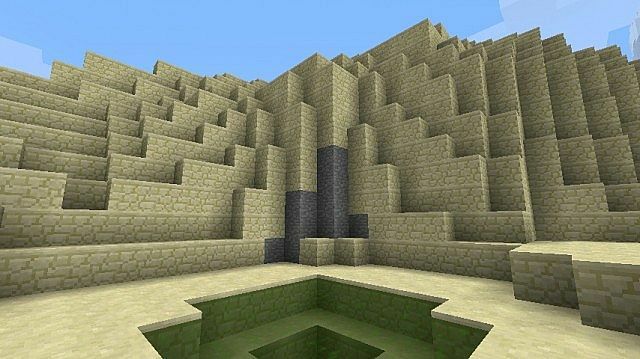 Pour sand into the walled base, creating dips and peaks like dunes. in the sand as the sand surrounds the inside and outside walls of the pyramid. 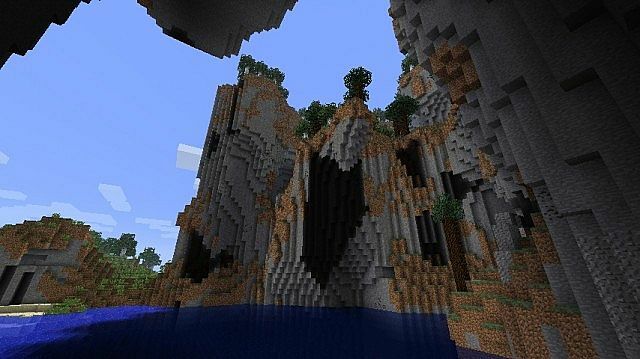 Good concept, I like the biomes the most :) keep up the work, and here's a diamond! Well then you didnt install it right. it's not working I'm using forge for it but nothing happens. How do you make the Tertiary and... Quadrinary (I don't think I spelled that correctly) staffs? 3 or 4 of the original staffs. What sounds cool, the mod? This mod seems cool! I can make a mod showcase for you, but I need the staff recipes. sorry for the bother, dont answer if u want, still gave diamond. Unarchive the Minecraft.jar with WinRAR. Thats 126 recipes, you do know that it would take forever and I am kinda busy. So why don't you just get the Crafting Manager? It says it right on the title. 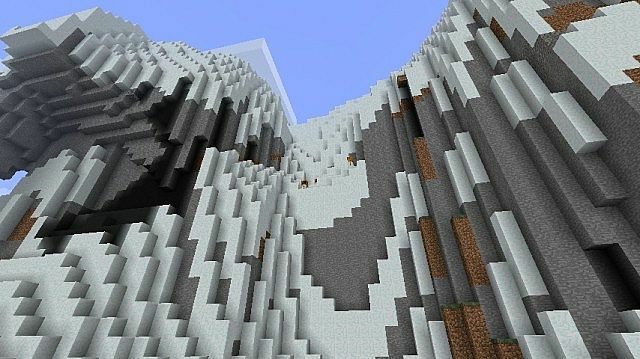 I played this mod, and I spawned in the Alps and about 25 Ender Dragons spawned...Maybe you could lessen their rarity please? 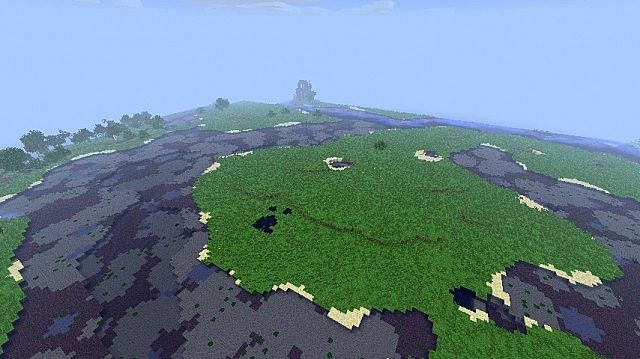 Ok well they only spawn in the forgotten forest... but I will fix it! Until then I advise that you make a punching bow and kill them. It will take a while but just try it, its actually sort of amusing. Oh I am sorry, I made that update at like 3 am, All it does is make them rarer. You might want to watch a video on forge modloader installation. You can download the crafting manages. Ok Fine instead I will input Withers! Jk. They are strong mobs that run around killing villagers and you. 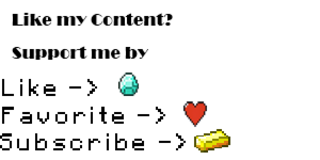 They have 45 half hearts and do about 3 half hearts per hit. They spawn in groups and they are relatively fast. So you will need some serious fire power. pretty cool. diamond for you. Not if you publish it, you see I am already making a modpack. IM THE 100TH DIAMOND YEAH!! Ok You Because I Know you did the 100th diamond. 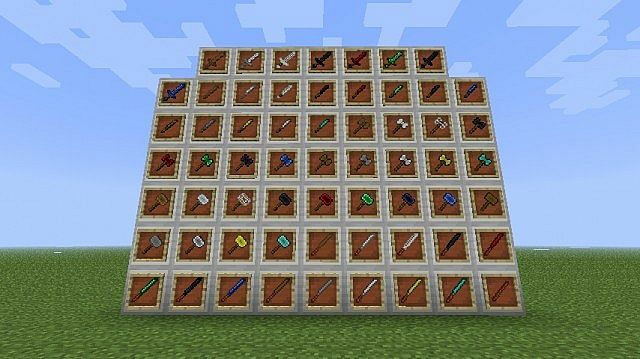 Please Come Up With A New Custom Weapon To Be Added To The ModPack! Come Up With 3!!! 1 Will Be Picked!!! *Please Read* If you are experiencing the Item Sprites turning into white and black panels please re-download my mod and read the new instructions! How come there are no pictures for the swords? Umm this is becoming a serious problem I will fix this soon just hold on. Ok download it now. If it doesn't work go over the instructions again. Still black and white. Sorry. somthings wrong with the blades area. its just flat white pannels with black blocks. 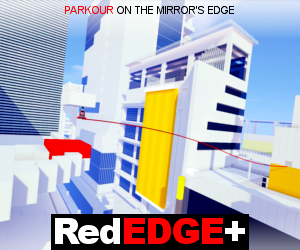 did i download it wrong? What about the staffs? Please let me know so I can fix the problem. The staffs too. Can you fix it? Redownload now. If it doesn't work tell me.